Everyone in the United States is talking with great passion about the mid-term elections for the United States Congress on November 6. The election this year is called a mid-term election because the president is not being elected. The campaign for president will begin as soon as the politicians and the public know the results from the November 6 election. Passions are high because the American people are divided between support for President Trump or extreme dislike of the president. But it is not only President Trump that divides voters this year. Arkansas is a case in point. The state legislature put together a long referendum that voters in Arkansas will vote on next week on November 6. The referendum relates to casino gambling in the state. Arkansas today does not have legal full-scale casino gambling. It has horse and dog racing tracks, a state lottery to raise money for school scholarships and some “video games of skill” which include poker and blackjack but not slots. There is no online casino gaming in Arkansas so local residents have to go elsewhere to play online and reap all the benefits of online gaming which include hundreds of games, and top casino bonuses and other promotions, but by leaving the state they lose out on the convenience of gaming at their desktop computer or on their mobile device. The referendum is actually a vote on whether the states’ residents want to amend the state constitution to allow full-fledged casino gaming within the state. The state has slowly over the last decade allowed some gambling but the state constitution needs to be amended to allow full-scale casinos in the state. Here we will detail the vote that Arkansas residents will vote on. The opponents to full-scale casino gambling in the state come from the most religious group in the state. They cite all the supposed ills that follow the introduction of land based casino gambling. The issue of land based casino gambling has become a financial debate rather than a moral, ethical, or religious debate. Both sides say that they want to help the weakest people in the state. One side says that the best way to do so is to build casinos that bring in jobs. The other side primarily looks at casinos as bringing about more problem gambling. The referendum has a provision that the state will have to put up $200,000 for education on gambling disorders and to treat people who develop signs of gambling disorder or addiction. Opponents say that this sum is far too little to deal with educating the public about gambling disorders and to treat the disease itself. The guidelines deal with the financial and “on the ground” aspects of allowing land based casino gaming in the state. Casinos will be allowed according to the proposal to sell alcoholic beverages for consumption on the premises. That means no plastic cups for people to take outside as is so common in New Orleans which is an entertainment center rather than a gambling center. This guideline recognizes the adverse effect the combination of alcohol and gambling might have. The referendum also allows casinos to give “gifts” of alcoholic drinks to casino patrons. This is, of course, in keeping with established practices in Las Vegas where players can expect to get alcoholic drinks for free. Another guideline that is not in any way controversial is limiting land based casino gambling to people over 21 years of age. Under the proposal, the state will receive 13% of the first $150,000,000 of a casino’s net gambling receipts which is money taken in minus money paid out as winnings. Net receipts higher than one hundred and fifty million dollars will be taxed at a 20% rate. Clearly, the proponents of the proposal hope that land based casino gaming in Arkansas will be wildly successful. How Will the Tax Pie Be Divided? The proposal delineates exactly where the tax largesse will go. 55% will go to the state treasury for general purposes; 17.5 % to the Racing Commission which will be responsible to implement a large part of the proposal if it passes; 8% to the county where the casino is located and 19.5 % to the city in which the casino is located. If a casino is not located in a city, the 19.5% will also go to the county. Some observers feel that it is inevitable that a location where a casino is being built or already exists will seek to be recognized as a city in order to reap the tax revenue and that the county will object because it wants the extra tax revenue for itself. The Racing Commission will have to award a license to the Southland Racing Corporation in Crittenden County and to the Oaklawn Jockey Club in Garland County. The licenses will allow these two entities to bring in the full range of casino gambling. The former runs a greyhound racing track with some “games of skill” already on the premises and the latter runs a horse racing site with “games of skill” on the premises. The proposal specifically lists applicants in Poe and Jefferson Counties as having highest priority to receive casino licenses from the Racing Commission. There was a time when religious opinion and commitment made it impossible to even contemplate land based casinos in Arkansas. That day has come and gone as the state needs the tax revenue that land based casinos will bring. The casinos will also take sports bets. That alone might bring taxable net revenues above the $150,000,000 mark so the state has a powerful vested interest in seeing gambling in Arkansas succeed. If land based casinos succeed then online gambling will not be far behind. 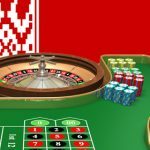 Will Belarus Succeed in Regulating Online Casinos?